Changing media has transformed your audience. 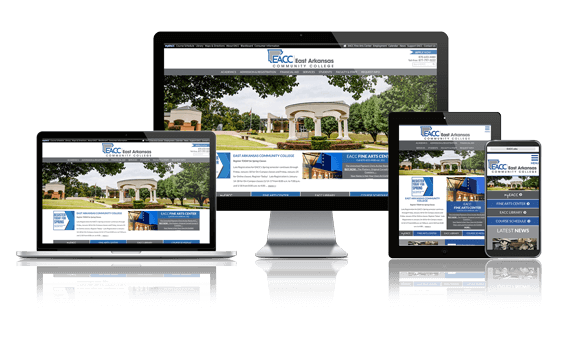 We can help you stay ahead with an effective, results-producing responsive website and mobile app. Summit International Emerging Media College Website Redesign Leader Award. 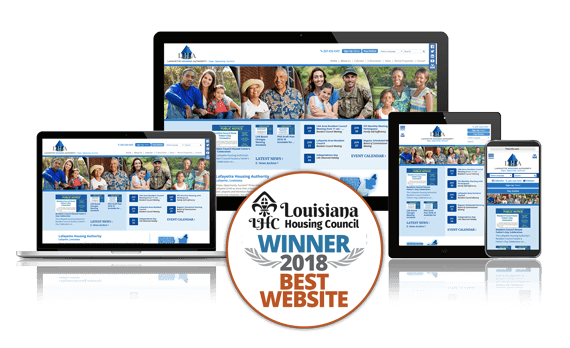 Lafayette Housing Authority Awarded 2018 Best Website by the Louisiana Housing Council. Ready to get your audience's attention? Ready for an innovative marketing strategy? Call us for loyal, dedicated, creative services that produce results! 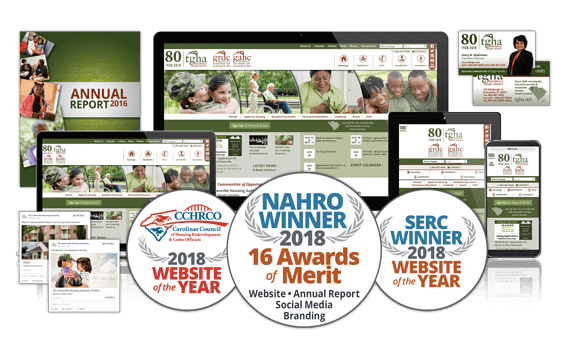 16 Merit Awards from NAHRO, as well as Website of the Year from both SERC-NAHRO and CCHRCO. We help you develop search engine and mapping optimization strategies and analytics to measure the success of your website, app, and digital campaigns. solutions, website, and digital design firm. Marketing solutions are our sole focus. That's how we've developed expertise in all media and digital formats. Give us a call today! 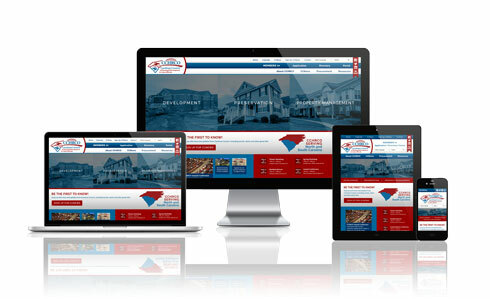 Since 1984, Brooks Jeffrey has won 55+ national marketing, art, and website design awards. More importantly, we've won results for our clients. Let us take your organization to the next level. 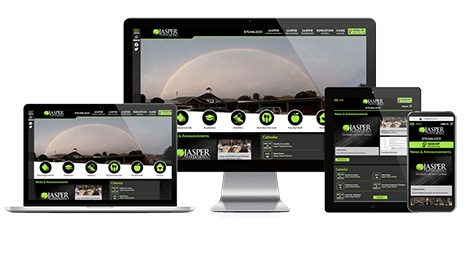 Balance images, graphics, text, and technology for a platform-perfect solution. Send the right message the right way — on target, on time, and on budget. Build computer system networks, social networks, and business networks with a total-solution firm. No matter the size of your project, we'll team up with you for results. 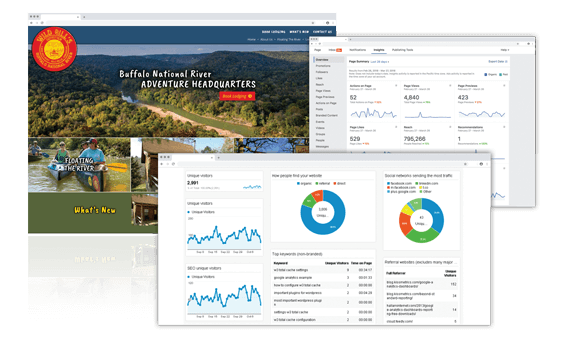 Whether you're a corporation, a nonprofit organization, government office, or a small business, we can work with your ideas, your budget, and your deadlines for maximum impact. Let's brainstorm to create your vision of success, call us at: 800.506.8064. BJM and BJCS Attends College Day 2019 Event! We extend our thanks to The Schliemann Center Baxter Regional Medical Center staff and volunteers for organizing and sponsoring the 2019 College Day for Girls event, held on the ASU-Mountain Home campus. This local event is an opportunity for young women from area high schools to gather together and be inspired to dream big about their futures. The event encourages these young women to not only MAKE goals for the future, but also REACH for those goals! We are very proud to show our support for our community and our local students! Brooks Jeffrey joined other area employers this week for ASU-Mountain Home’s 2019 Career Expo. We are proud supporters of ASUMH and proud employers of several ASUMH graduates. Thank you ASUMH for organizing this community event and for all the important work you do to inspire, train and educate students.